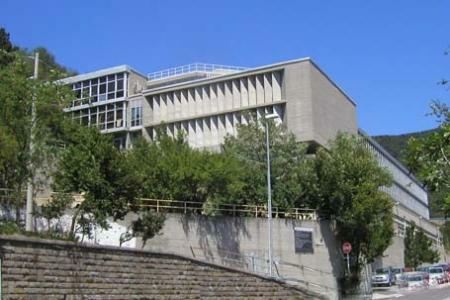 The Department of Chemical and Pharmaceutical Sciences (DSCF) of the University of Trieste was established in 2010 through the amalgamation of the Department of Chemical Sciences and the Faculty of Pharmacy and, from the autumn of 2012, is responsible for the organisation and teaching activities of the various degree courses in Chemistry, Pharmacy and Pharmaceutical and Chemical Technology (CTF), previously the responsibility of the defunct Faculties of Mathematical, Physical and Natural Sciences and of Pharmacy. The DSCF organises the Doctoral School in Pharmaceutical and Chemical Technology and is a participant in the Doctoral School in Nanotechnology of the University of Trieste. The DSCF hosts an important library, numerous teaching and research laboratories, along with instrumentation and facilities dedicated to basic and applied research in the various chemical disciplines. The research activity conducted is articulated in various areas: from drug design, synthesis and formulation, to supramolecular chemistry and nanotechnologies, to environmental and sustainable chemistry, to theoretical and computational chemistry; and represents a cutting-edge scientific activity, with numerous national and international scientific collaborations. The department proposes itself to the non-accademic world (Industry, public and private research bodies, etc.) as a cultural reference and mainstay for chemical research.